Be a Hunter Education Instructor! 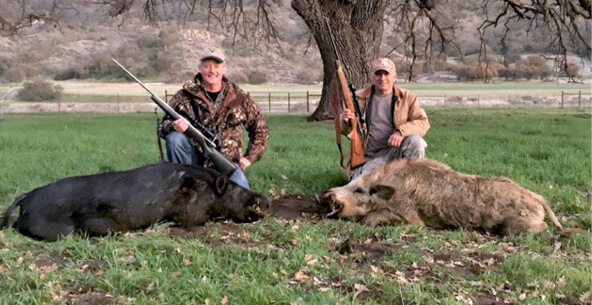 Become a volunteer hunter education instructor and help pass on California’s hunting tradition to the next generation. As an Instructor, you will be eligible for the Instructor Incentive Program. This program is for Instructors only and consists of numerous hunting opportunities including wild pig hunts, X Zone deer tags, and the chance at an open zone deer tag. For more information on becoming a hunter education instructor, visit www.wildlife.ca.gov/Hunter-Education/Become-an-Instructor. Sea un instructor de la Educación del Cazador. El California Department of Fish and Wildlife solicitas instructores de caceria responsible. Éres aficionado a la cacería? Desea pasarle a la siguiente generación la tradición de la cacería? Para más informacion, vista www.wildlife.ca.gov/Hunter-Education/Become-an-Instructor. Eligible certified hunter education instructors may participate in the Incentive Program drawings for highly desirable hunting opportunities. CDFW awards incentives, which may include big game tags provided voluntarily by licensed private lands management areas, cooperative elk or deer hunting areas, or other hunts designated by CDFW. Instructors who accept a tag are required to pay the applicable tag fee(s) set forth in the Fish and Game Code or California Code of Regulation Title 14.